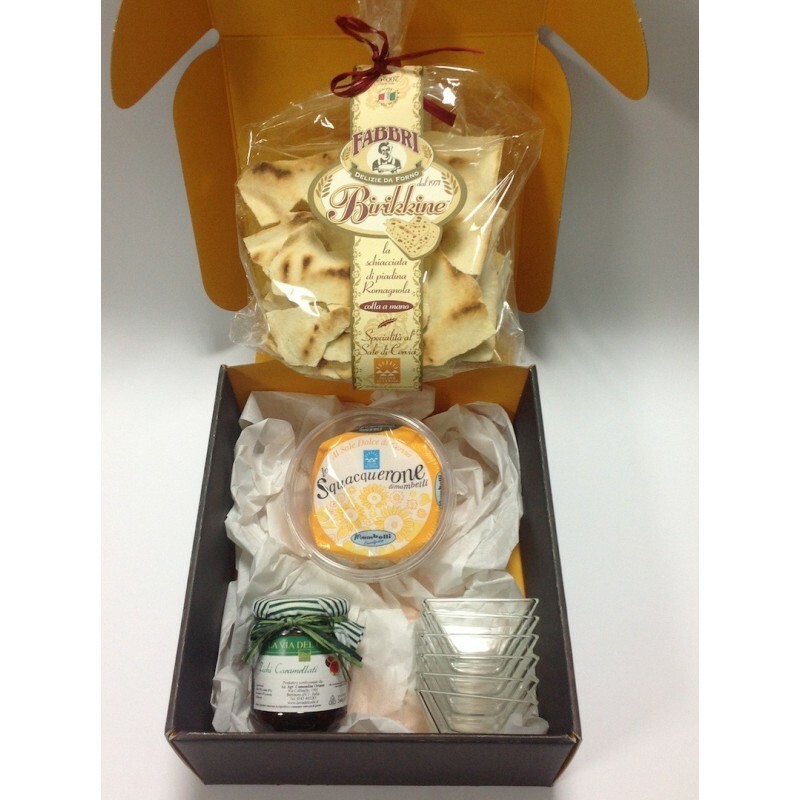 Gift Box containing: Squacquerone with Cervia Salt, Caramelized Figgs , Birikkine. N°1 piece. Squacquerone withCervia Salt g.350 . N° 1 Pack of Caramelized Figg g.240.